Caplan Bankruptcy and Family Law Firm > bankruptcy > What Is The Florida Bankrupty Means Test? The means test determines your debt to income ratio to qualify or disqualify you from filing for a Chapter 7 bankruptcy. 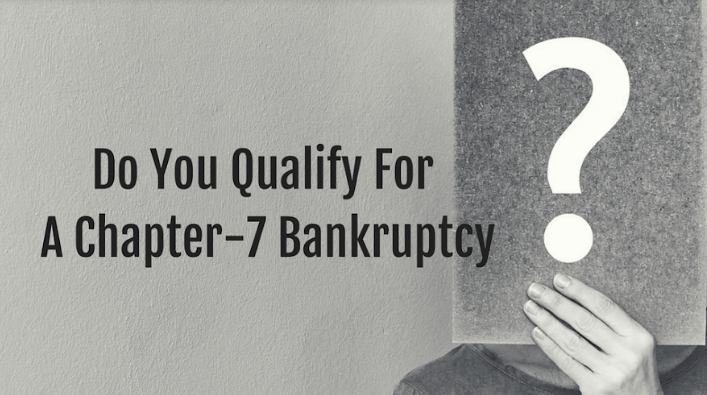 Because a Chapter 7 bankruptcy allows you to have most, if not all, of your debt discharged, the court needs to make sure that you don’t have the assets to pay the debts. The means test is done in two ways. The first is determining if your income is lower than the average or median wage for your family size in your area. If it is, you automatically pass the means test and can move forward with a Chapter 7 bankruptcy. If you do make more than the median income for a family of your size in your area, you may still pass the means test, but the process becomes more involved. The court will calculate your income and compare it to your expenses, including rent or mortgage, car payments, and other living expenses. If the court determines that you do not have enough disposable income left over after meeting your expenses, you will likely pass the means test. If you don’t pass the means test, you cannot file for a Chapter 7 bankruptcy in Florida. The next step is to explore the option of filing for a Chapter 13 bankruptcy. Since the means test is designed to prevent high wage earners from having their debts discharged if you don’t pass the means test, it’s likely that a Chapter 13 bankruptcy will be a better fit for your situation anyway. If you’re overwhelmed with debt and are having difficulty meeting your financial obligations, we can help. We know dealing with seemingly insurmountable debt and difficult creditors who won’t stop calling can be difficult. Contact us today for a consultation to discuss your case in detail at (407) 634-2116. We’ll help you determine if you pass the Florida bankruptcy means test and what type of bankruptcy would be the best fit for your unique situation.